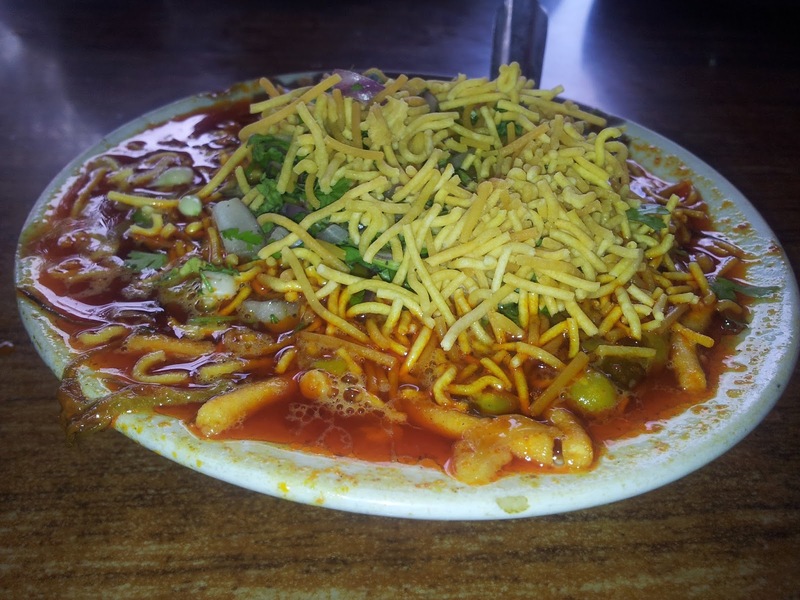 Pune is having many famous food places, along with Misal pav spots, we will be covering other places also. As we have promised, time to time, you will have details of remained famous misal pav spots in Pune. Today, again, come up with a further famous food place around Pune. While going Nashik, on Pune-Nashik highway, at Moshi, we got an opportunity to taste famous Kolhapuri Misal at Hotel Savata Mali. 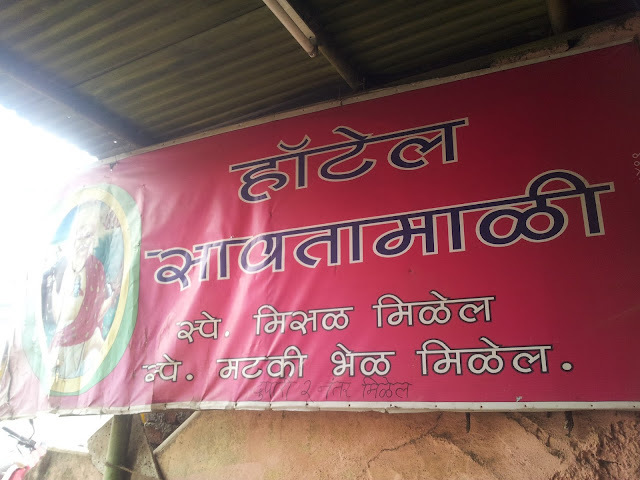 This is another famous misal spot around Pune. The rassa (gravy) was awesome, spices used in the misal, made it more unique. You will have combination of farsaan with medium spicy gravy. Hotel Savata Mali is located at Moshi-Alandi road square on Nashik-Pune highway. This place looks small hotel we usually see in small town but the tatsy misal we got here attracts more people. Moshi people start their day with this awesome kolhapuri Misal and also the people who go nashik-Pune don’t forget to taste it. If you would like to visit this place, exactly come to Moshi-Alandi Square on Nashik-Pune highway, you will see the Hotel Savata Mali. As this is small Hotel, you will not find expected ambience but as having tasty misal you will be ready to compromise on it. Hotel Savata Mali, Moshi, off Nashik highway, Pune. 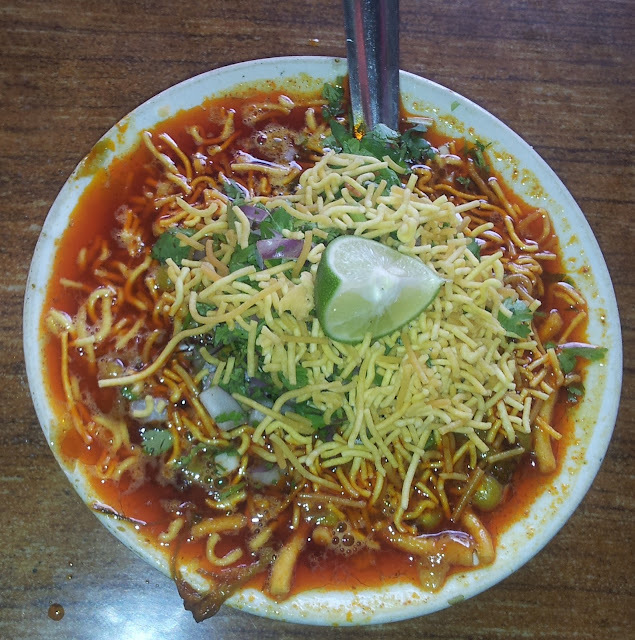 Previous Aba Misal, Shri Kala Snacks Centre, Rasta Peth Pune. Thanks for wriitng about Hotel Savata Mali, seems like a good option for eating while on your way to Pune. For accommodation options, click here to know about various luxury hotels in Pune. Thanks for sharing these foods pic with us.Best hotels kota for hospitality. one of the best kolhapuri misal I ever had. nice misal in moshi area.